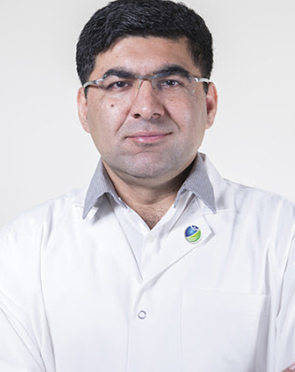 Dr. Rajesh has more than 7 years of experience in the field of Neuro Surgery.He did his graduation from Sindh University Jamshoro Pakistan and joined Aga Khan University Hospital Karachi as Chief Registrar and was later promoted to Instructor Neuro Surgery. 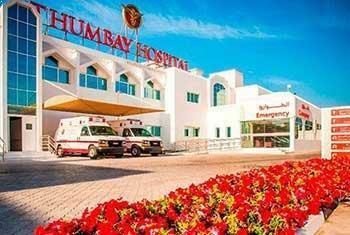 Dr. Rajesh did his FCPS (Neuro Surgery) from Pakistan and worked with many prestigious intuitions like Healthcare Hospital Karachi and Liaquat National Hospital & Medical College in Karachi. 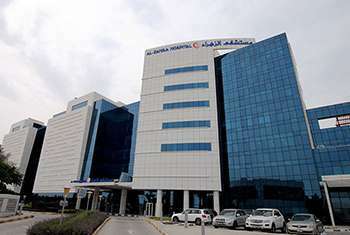 Prior to joining Zulekha Hospital Dubai, Dr. Rajesh was working with Rashid Hospital Dubai. The Gamma Knife doctor typically first sees the results of the tests ordered to assess the overall health of the patient. Based on the initial assessment, the doctor would prepare a treatment plan tailored according to the individualized needs of the patients. The treatment plan for Gamma Knife, its alternative options, the pros and cons associated with each option and the treatment cost is thoroughly discussed with the patient to seek their approval. Once the patient gives his or her consent, the Gamma Knife surgeon addresses his team members and shares the details of the case with them. The team members prepare for Gamma Knife and share a scheduled date of the procedure with the patient. The patient is advised to follow a few instructions as given by the Gamma Knife surgeon. In addition, the Gamma Knife hospital initiates the formalities and informs the patient about the estimated cost. The patient is accordingly required to submit documents for any insurance claim approval. What is the Gamma Knife surgeon responsible for? The surgeon is responsible for the preoperative diagnosis of the Gamma Knife patient, for performing the operation, and for providing the patient with postoperative surgical care and treatment. The surgeon is worked as the leader of the Gamma Knife surgical team.